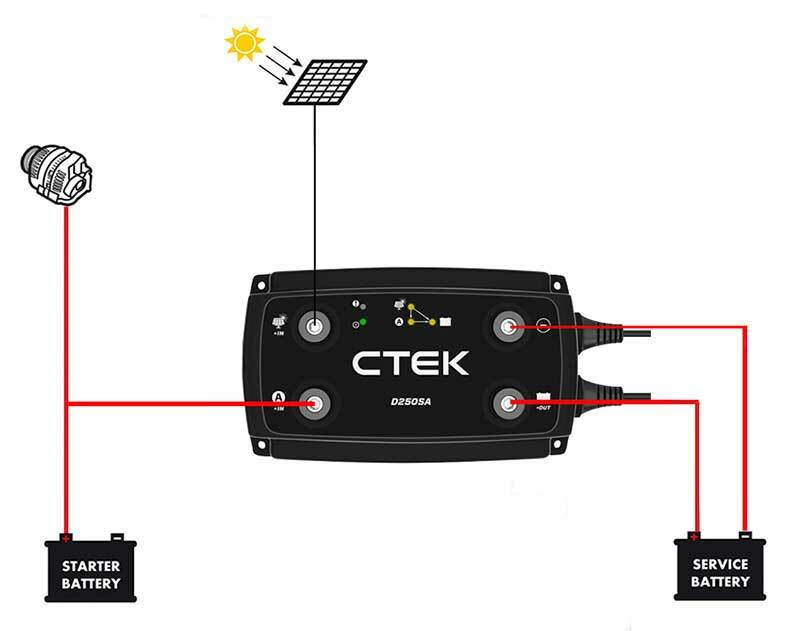 Your perfect companion when you're off the grid, the CTEK OFF GRID solar charging system charges your batteries from several sources, prioritizes connections and looks after your battery, preventing it from damaging full discharge. The CTEK D250SA Dual battery charger included in the pack obtains power from a variety of DC sources including alternators (both smart & conventional), solar panels and wind generators it then optimises this power to meet the charging requirements of different battery banks. The CTEK D250SA is compatible with all 12V lead acid batteries, including GEL and thanks to the user-selectable charge voltages, the D250SA is optimised for AGM batteries as well, boosting output from 14.4V to 14.7V to suit. Keeping up with all the latest efficiency-driven vehicle technological upgrades, the D250SA is fully compatible with newer vehicles fitted with ECU controlled 'smart alternators', able to work alongside this system to provide the secondary service battery with optimal charge. With it's own, built-in Temperature sensor the D250SA will increase voltage during cold weather and reduces the charge in hot weather for efficient and risk-free charging, no matter where you find yourself ending up. The D250SA and solar power goes hand-in-hand to further expand the functionality of this great battery charger, with a built-in solar regulator and Maximum Power Point Tracker (MPPT) ensuring maximum power is being generated from the connected solar panel. 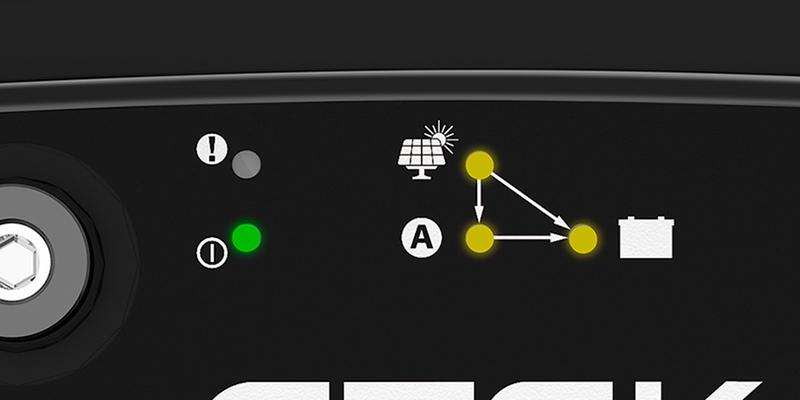 In addition to this, the unit can also provide a maintenance charge to the vehicle's primary starter battery from the solar panel or the secondary service battery for added piece of mind - We did tell you it was a SMART charger! 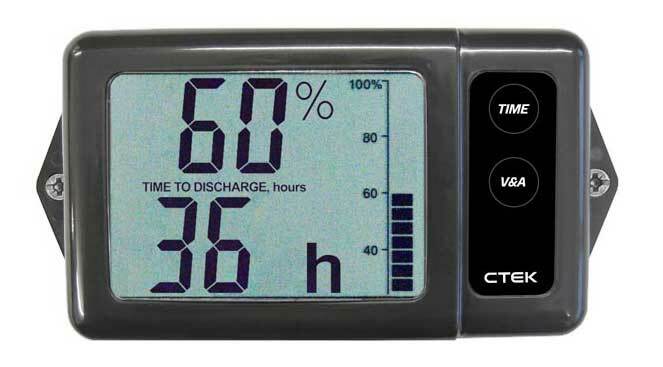 Also included in the pack is a System Monitor that continually monitors the voltage, current (charge and discharge), calculating and displaying the state of charge together with time remaining to charge or discharge on the large, easy to read back-lit LCD screen. This ensures you'll never get caught out again with a flat battery when you least need it.